Matt Smith's first full series as The Doctor comes to France 4 next month when the channel begins showing the 31st series of the show, starting with Le Prisonnier Zéro (The Eleventh Hour) on February 12, at 8:35 PM. 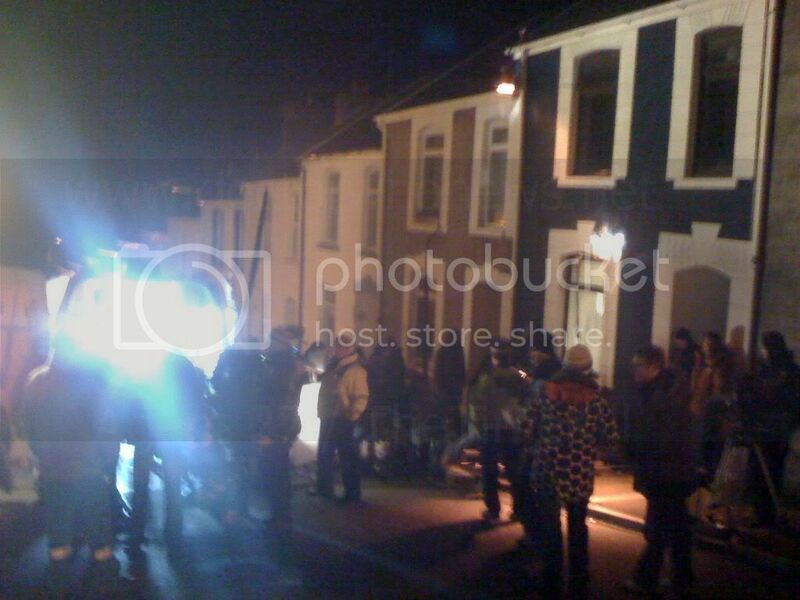 Viewers in France got to see the end of the Tenth Doctor last Christmas day when France 4 showed La Prophétie de Noël. The series will continue with Épisode 2 — La Bête des bas-fonds and Épisode 3 — La Victoire des Daleks. In addition French-speaking Doctor Who fansite Beans On Toast has revealed that series 4 of Doctor Who will be released on DVD in French. The news has been confirmed by France Television Distristribution, the DVD editor in charge of the DVD releases of the first three series in France. French-speaking fans have been campaigning for a DVD release of the series with Beans on Toast launching an online petition in August 2010. Series 1, 2 and 3 are also to be re-released on DVD, and this time, the series 3 boxset will include the original English version with French subtitles. The current DVD edition only offers the French dub. 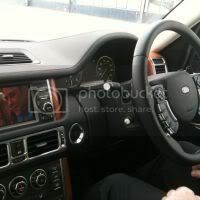 For discussion on this news see the Beans On Toast Forum. 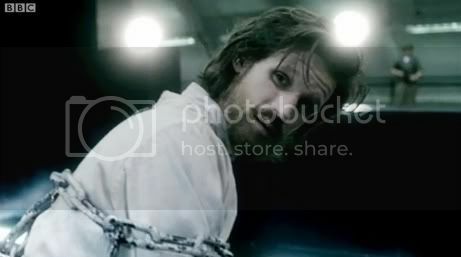 The BBC has released some details about the upcoming series of Doctor Who, featuring Matt Smith - seen here from the new series trailer as the Doctor chained and sporting a considerable beard. It was a glued-on beard. I wouldn't be able to grow a full-on beard like that in time. They had to remove it with a substance smelling like white turps. It's also been confirmed that Smith has filmed special scenes, scripted by show runner Steven Moffat for the new interactive exhibition opening at London's Olympia next month, the Doctor Who Experience. It gives a sense of the TV show. I've filmed some scenes for the experience. It places you, the fan, at the heart of the action and become the companion, in a sense. There's a Tardis, which you can go on. The museum has all things Doctor Who. It should feature costumes from all the Doctors over the ages, and I'm sure I've got a few bits in there. 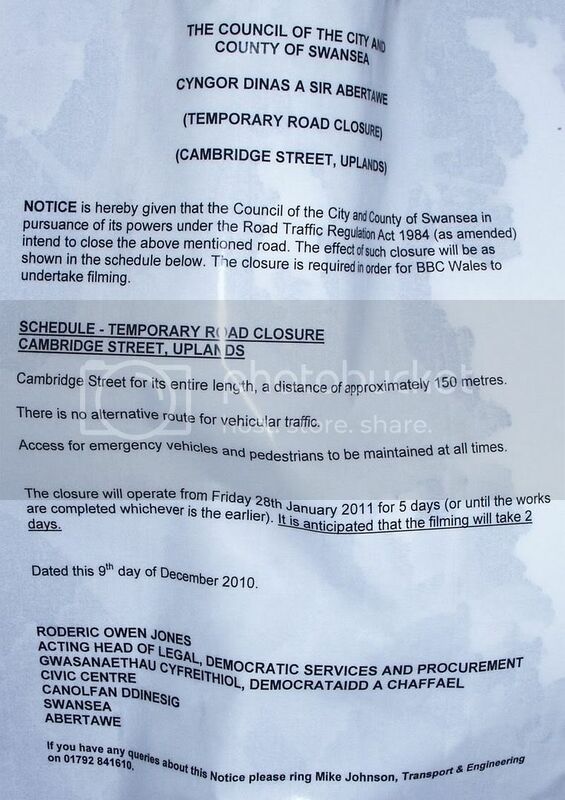 This week saw Torchwood: Miracle Day return to its 'ancestral' home of South Wales! 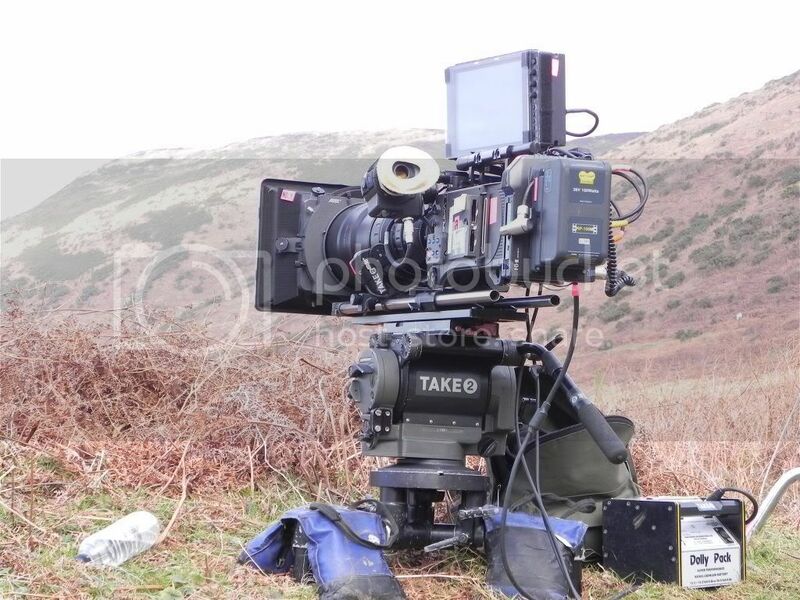 The lead-up to the week saw the cast and crew out in Los Angeles make their way to the United Kingdom; of the principle cast, this meant a return home for John Barrowman, Eve Myles, Kai Owen and Tom Price, and joined (so far) by Mekhi Phifer and Dichen Lachman. Crew-wise, Director of Photography Nathaniel Goodman and Directors Bharat Nalluri (episode one) and Bill Gierhart (episode two) also travelled over. 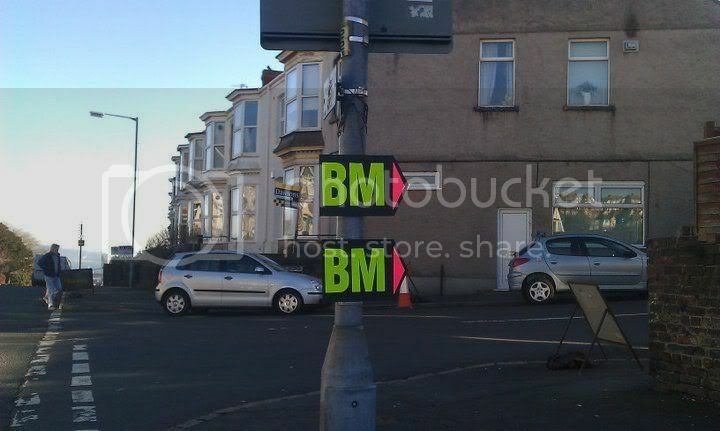 Last and certainly not least the two series masterminds Russell T Davies and Julie Gardner were also back amongst the familiar faces from the UK, including Producer for the UK segments Brian Minchin, whose name forms the basis of the "BM" production signs for the shoot. 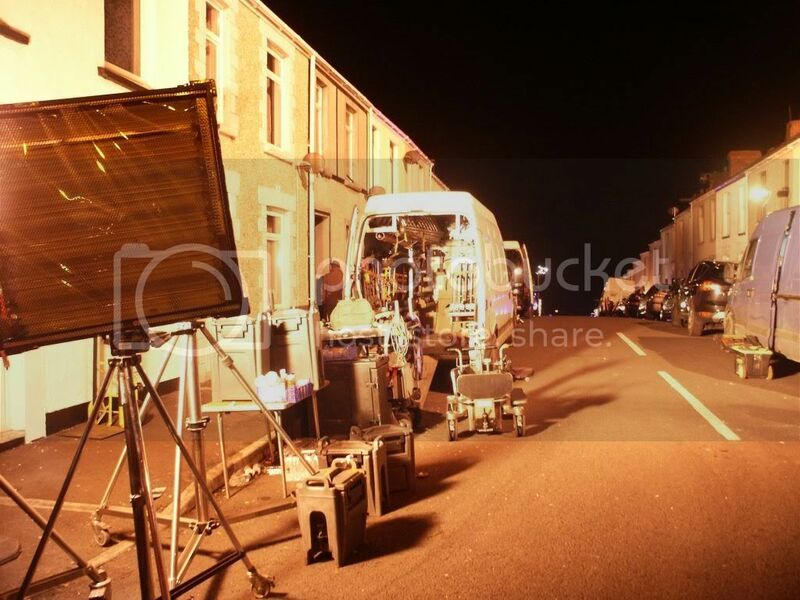 Filming this week saw the crew ranging between Cardiff International Airport, a village farm, Rhossili Bay and the streets of Swansea! 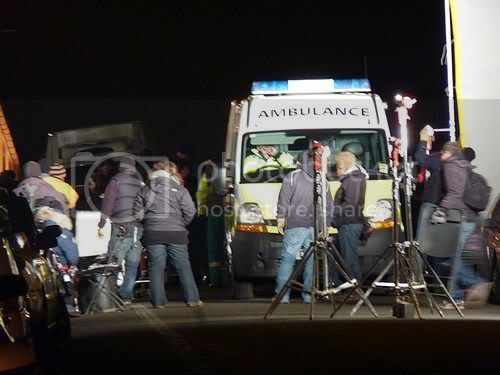 Unlike in the US, production in the UK has not been shrouded in heavy security, and with a (mostly) UK production team in attendance, the traditional approach to filming that fans here are used to have continued. 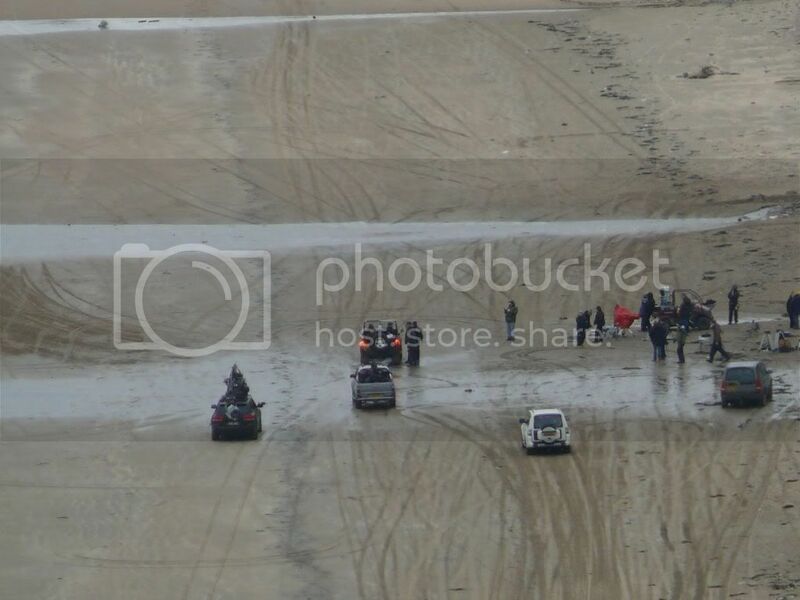 This has, of course, meant that the public have been able to witness more of the proceedings than in the previous fortnight, so this week's roundup includes many of their observations as well as the cast and crew's usual tweets! Times cited within the report are in GMT. 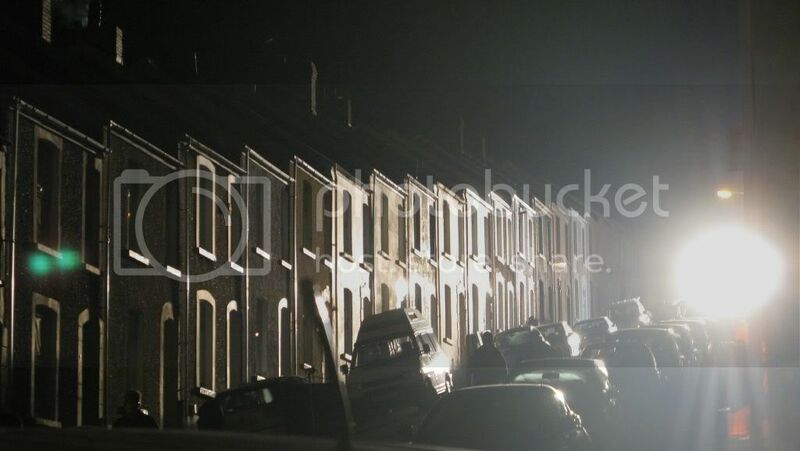 05:33 It was Cardiff. So inspiring... Up at 3:30am ready for first day. 11:19 Have not been this cold in years! 12:00 So hard to speak when you can't feel your face!!!! 18:47 Only just got my lines out my face was so numb. 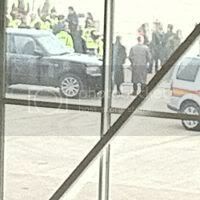 the British Airways Maintenance hangar. 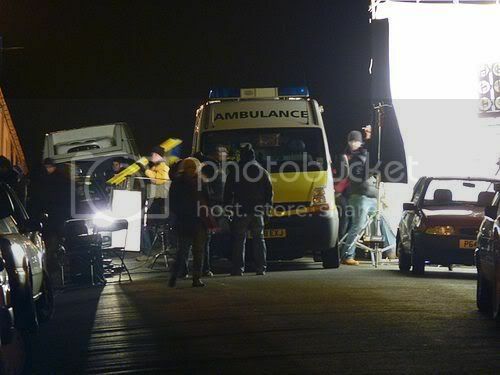 The airport was doubling up for London's Heathrow, and scenes there featured John Barrowman, Mekhi Phifer and Tom Price - the latter playing a newly promoted Sergeant Andy Davidson! 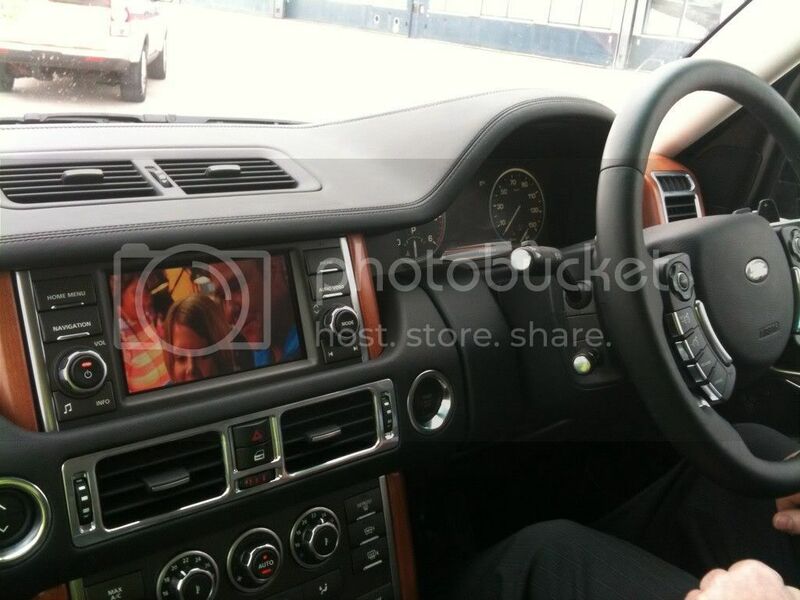 Price also provided us with the latest "TW-Spy" images of his car and fresh uniform! 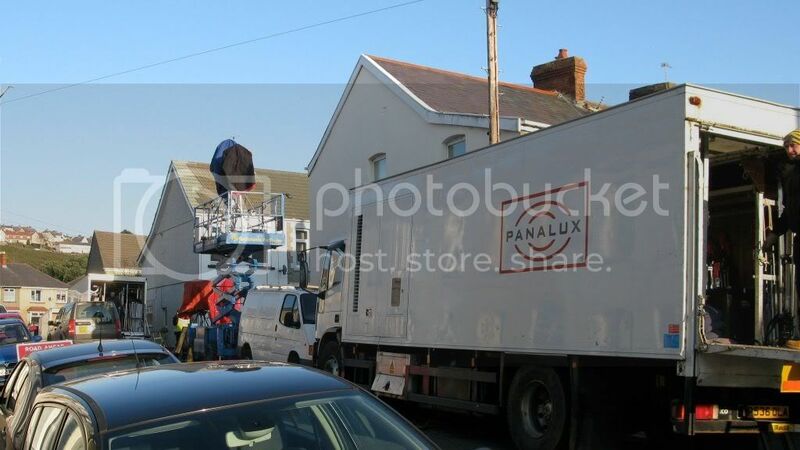 Being a private location fan photos of filming weren't very likely today, though a passer-by did manage to spot the crew at work. CHECK OUT MY NEW WHEELS. Bargain Hunt in the front seat. Bling. 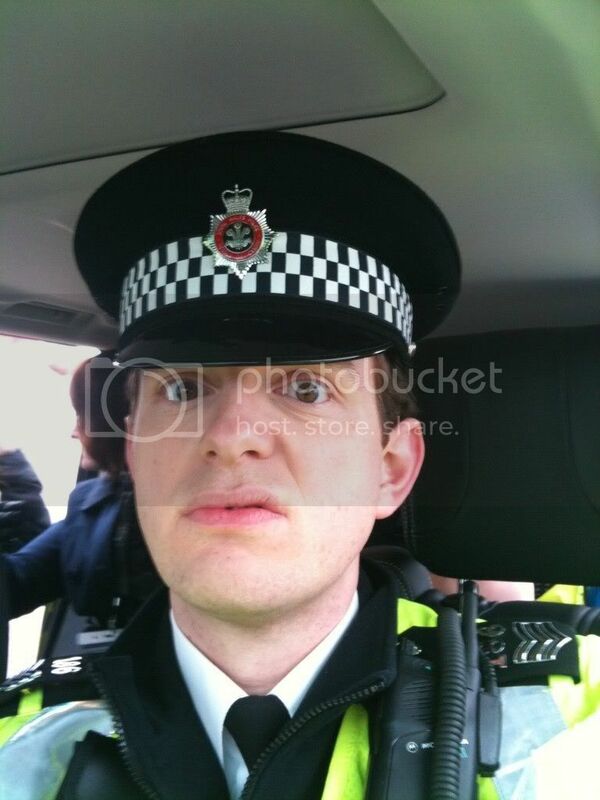 Annoyingly playing a police officer means everyone on set thinks you're an extra. Facial expression doesn't help. 16:39 Day 1 in Wales finished! UK crew awesome. Eve Miles rocked today.. 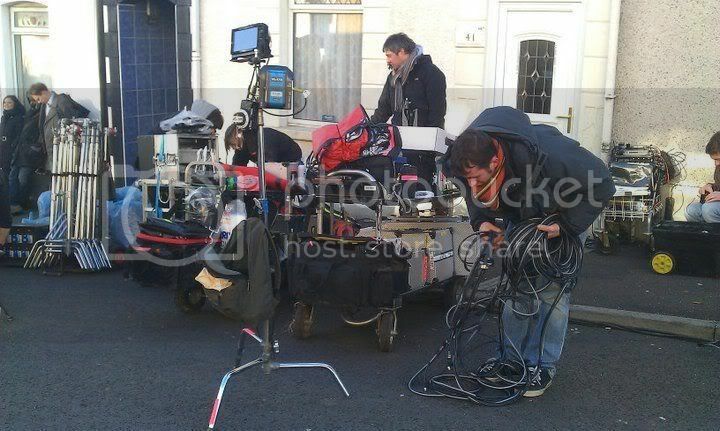 The Torchwood Production Office summarised a successful, if cold first day in a new country! the ground running in Cardiff! look any better. Don't fret we're sending 2tons of heat packs stat. the original Torchwood, Doctor Who and Sarah Jane. the first scene from Ep.2 and say hello to Bharat Nalluri for us! too quiet and the time change, gross. 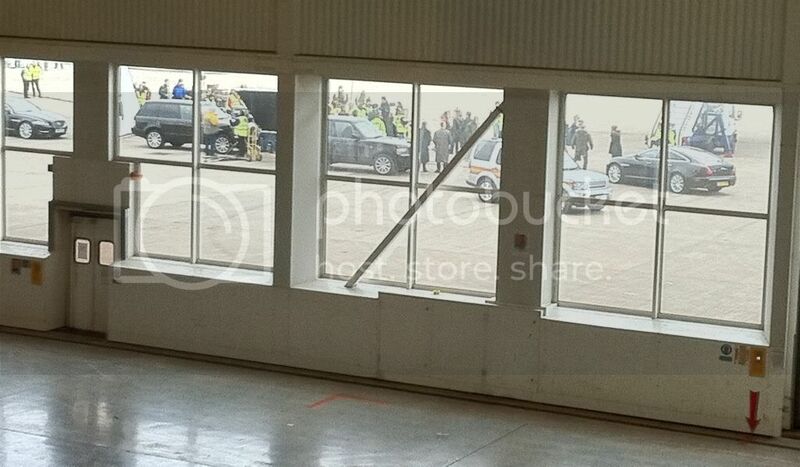 Very jealous of the UK crew. 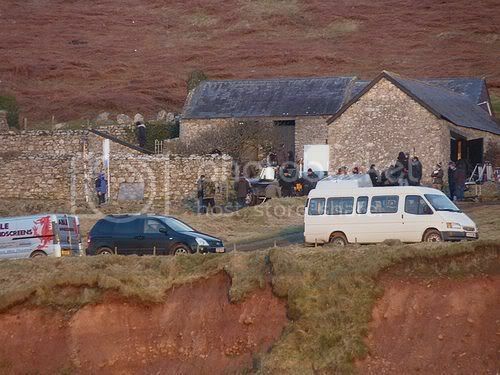 The first of a three day shoot saw the cast and crew assemble at the National Trust's Old Rectory Cottage at Rhossili Bay. 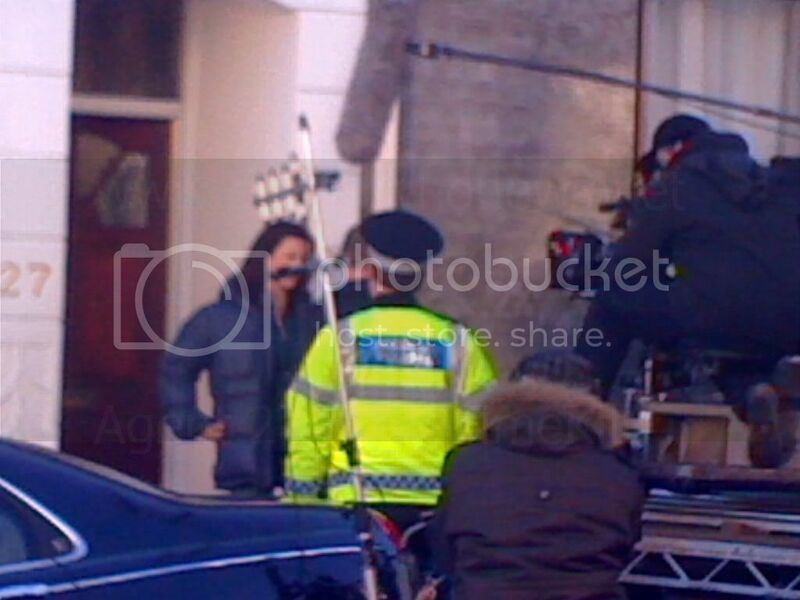 Kai Owen and Eve Myles were filming, braving the cold, wet and windy Welsh weather as helicopters swept over them. 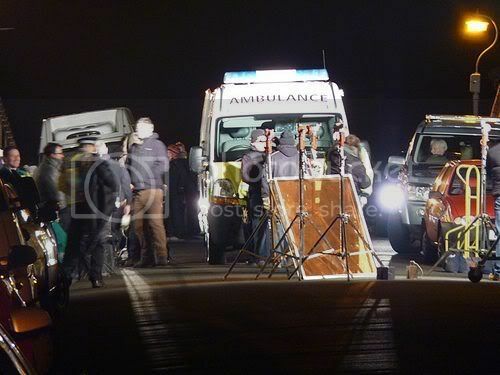 The filming was watched by Chris Williams, who was able to survive the weather conditions without the aid of catering! 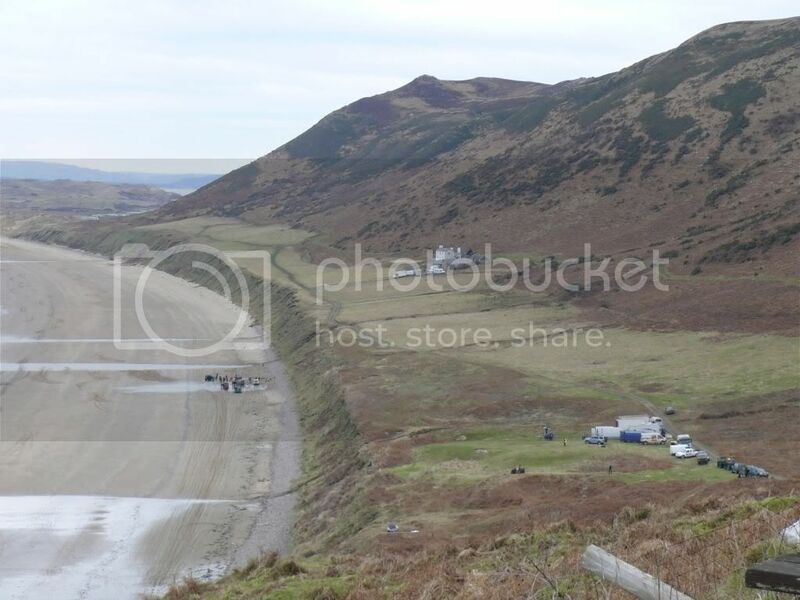 I heard a few rumours from normally reliable sources that Torchwood were heading off to Gower... and, coincidentally, to Rhossili Bay, popular with tourists, surfers and one of my favourite places in Wales. 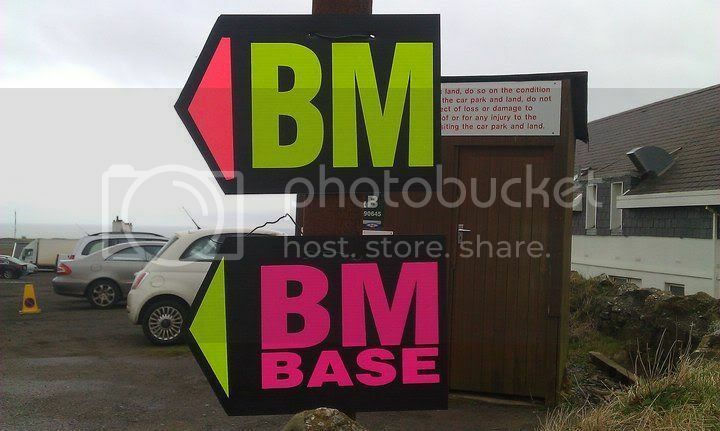 Getting close to the Bay, I was beginning to wonder if my 60 mile journey would be in vain.. but the reassuring 'BM' sign at the Scurlage turn off put my mind at rest. Today was a grey day, and umbrellas and winter coats were evident. 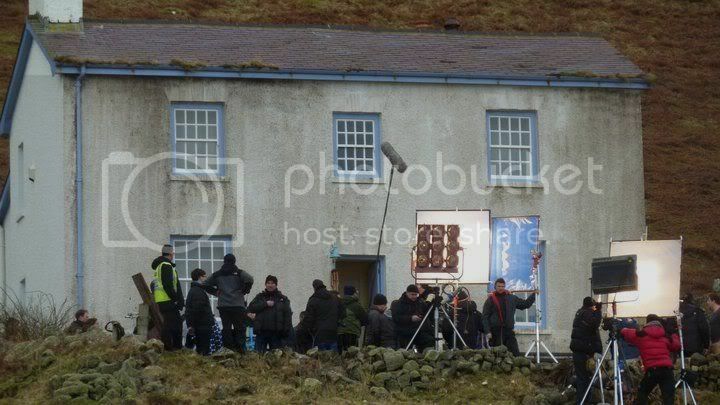 Clearly, the cast, crew and security guys were freezing, and the Gower Peninsula was not showing itself at its best. 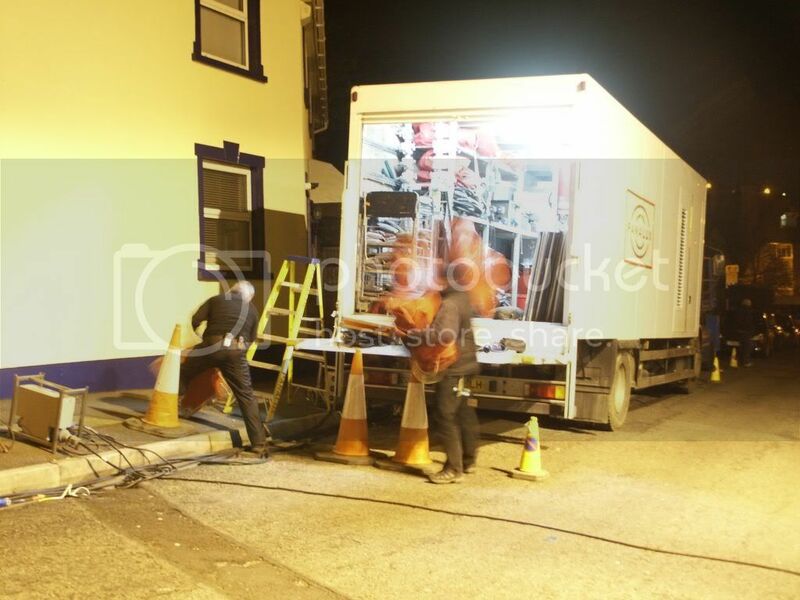 The Base, Rhossili's car park, was packed full of the usual trucks, including make up, FATTS, lighting & special effects, though the catering trucks almost caused me to trespass! Two helicopters caught my eye - one brown and military looking, the other sleeker, and I think, there to film the other in action. 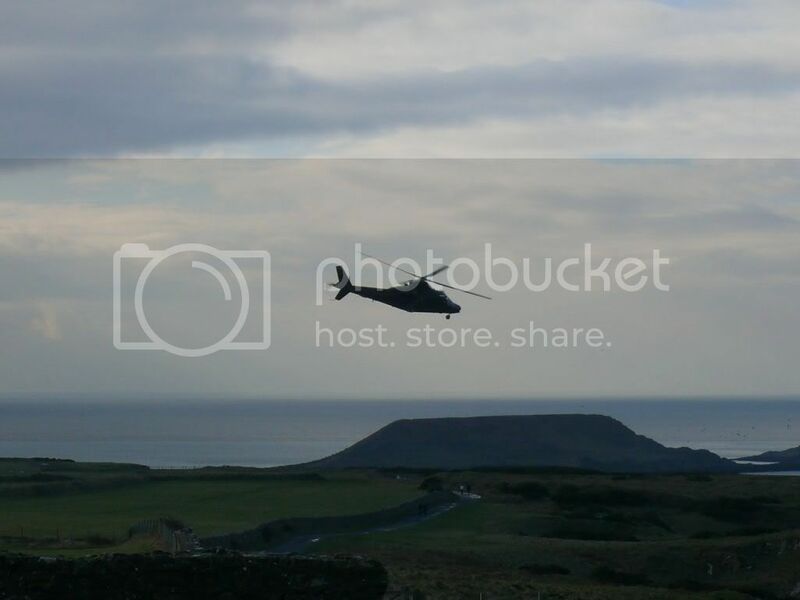 They were constantly circling Rhossili Bay, and Rectory Cottage, a farmhouse on a very steep hill. 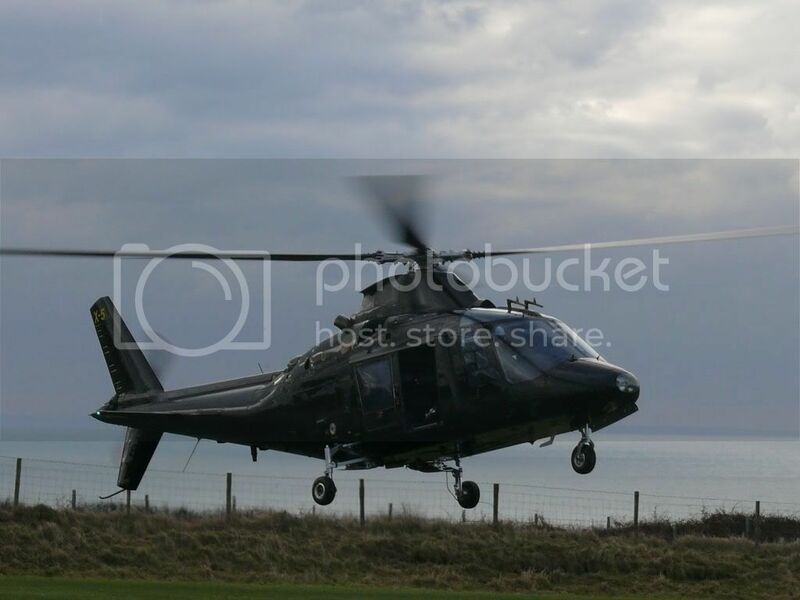 I wasn't clear what was happening at first, but one of the air crew told me the 'action' was actually in the cottage, but the track to it was closed! Still, I found myself an alternative path down, the one I normally curse when struggling down in the summer with my surfboard. 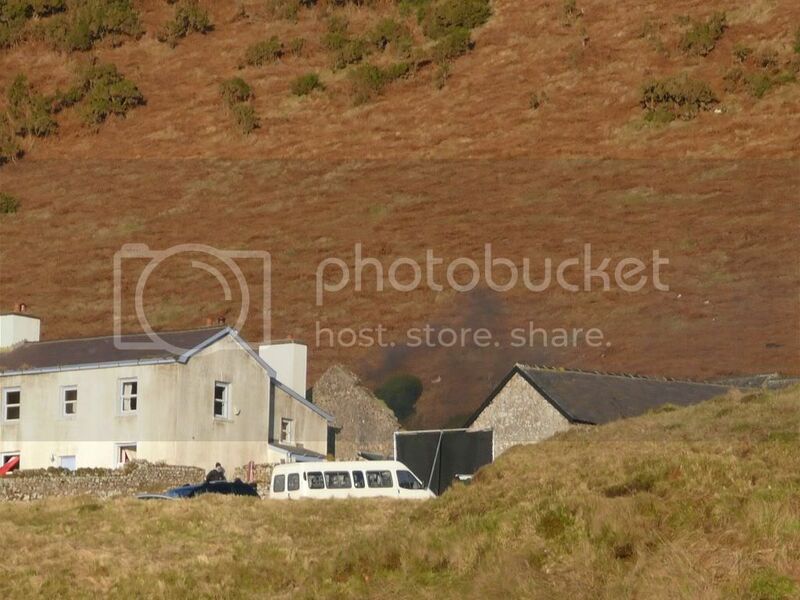 There were loads of trucks, and red & white mini-buses ferrying crew and cast up and down from the hill to the base. 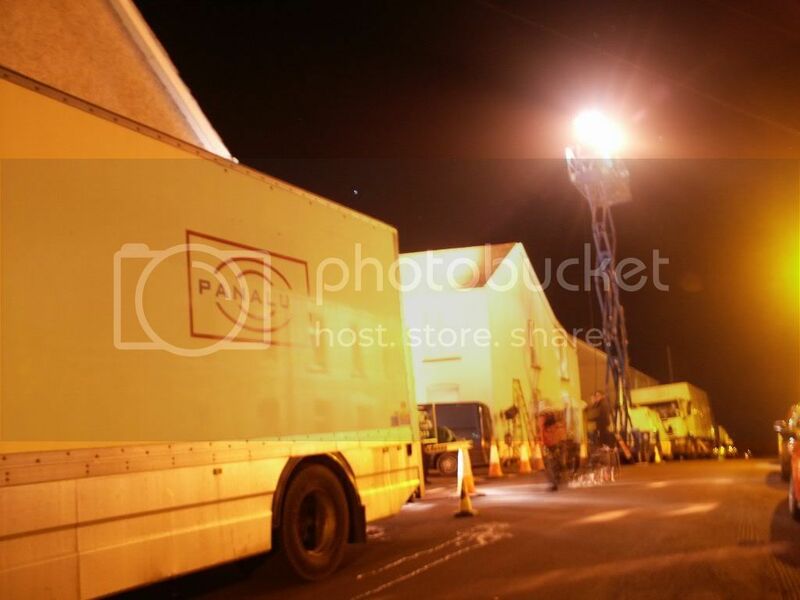 I was quite pleased to see external lighting rigs and shields, as this clearly meant we'd see some action outside. Soon after I spotted Kai Owen, wearing a ridiculous cardigan and a pair of 'farmer's' corduroy trousers. Kai was relaxing between takes. 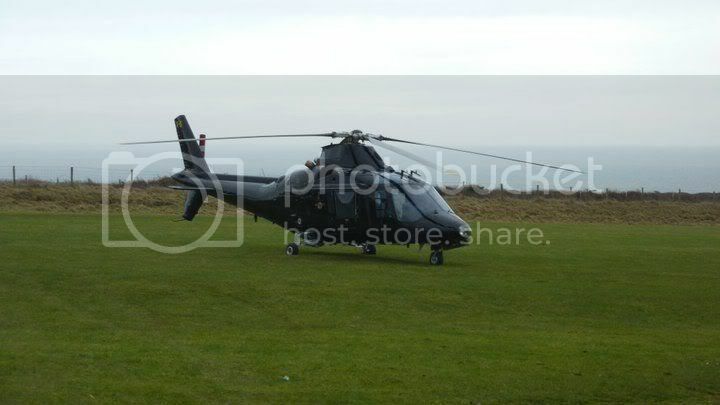 A few minutes later, the helicopter was back, circling the cottage - and security staff telling me to get out of the way of the shot. The shot comprised Kai, as Rhys tending a fire in his yard, puahing twigs around with a shovel. 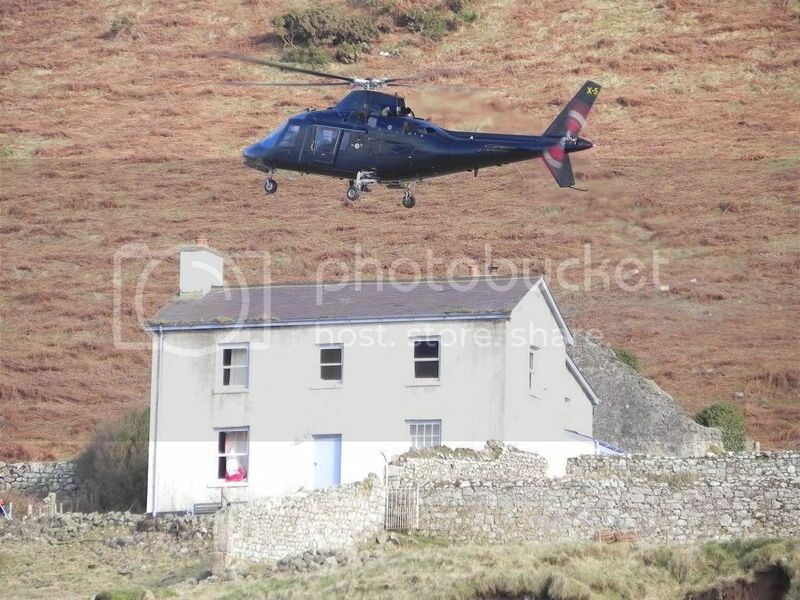 He noticed the helicopter - and appeared worried when it appeared to 'buzz' the cottage. Was someone unwanted looking out for Gwen and Rhys? 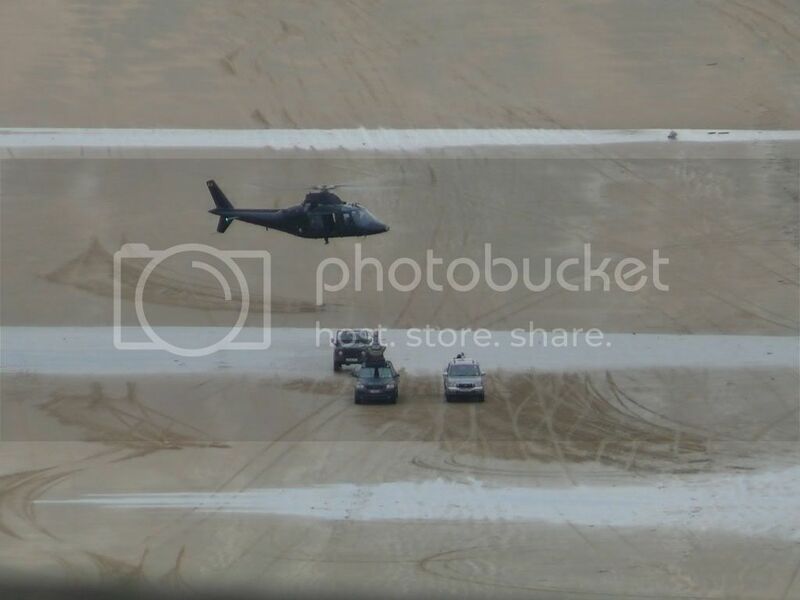 I heard from a crew member who had read some of the scripts that the helicopters contained the 'bad guys', possibly from some government agency, and they were actively seeking Gwen. We'll see in July if that turns out to be the case! 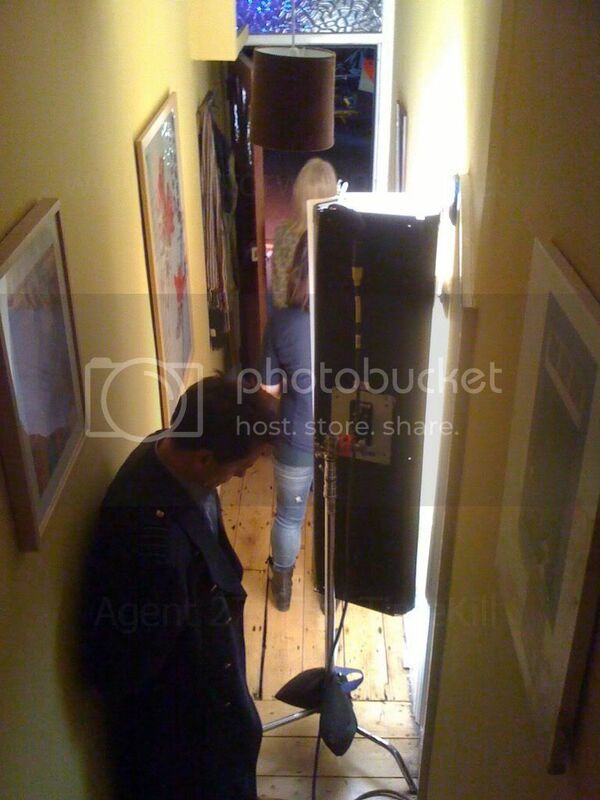 Eve appeared to be lurking by a wall, either keeping out of shot, or just quietly freezing. I was disappointed not to be able to get a decent picture of her! Maybe the next couple of days will bring us better luck! At this point, I spotted Russell T. Davies and Julie Gardner, now both based in Los Angeles. 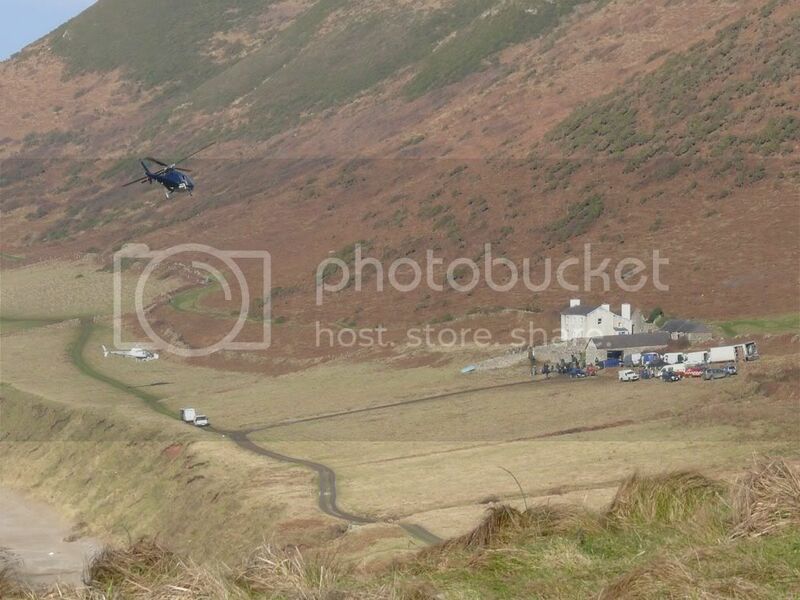 They called a set meeting, and after a huddle and a few words, Rhys again did his 'fire' scene, and the helicopter dutifully came back for a further spin. It also started to rain - heavily! It felt real good to see Russell and Julie back in Wales.. wish they were back here permanently! 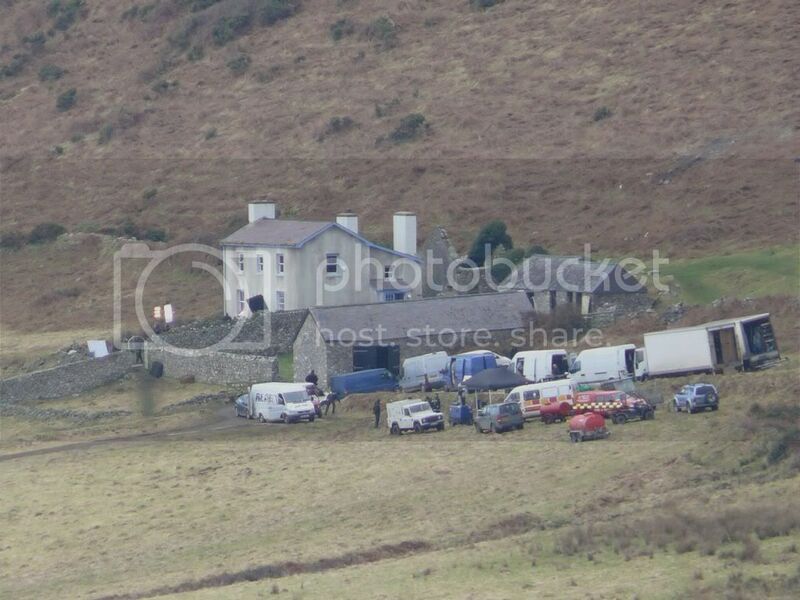 I hear they're filming at Rhossili for two more days, and at some point, pyrotechnics are promised. I may return to see! 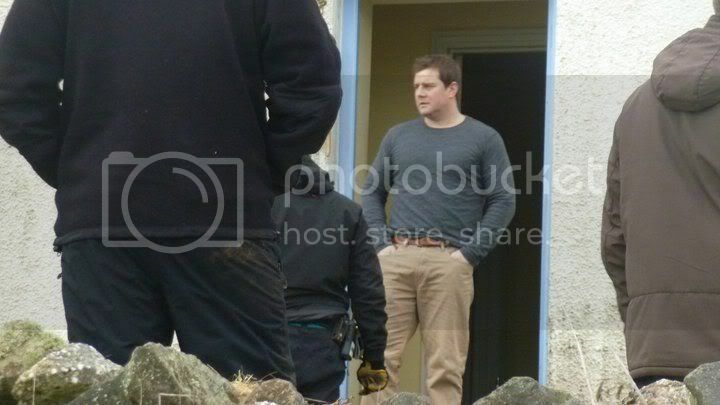 You can find more of Chris's photos from the day in his Torchwood! Facebook photo album. 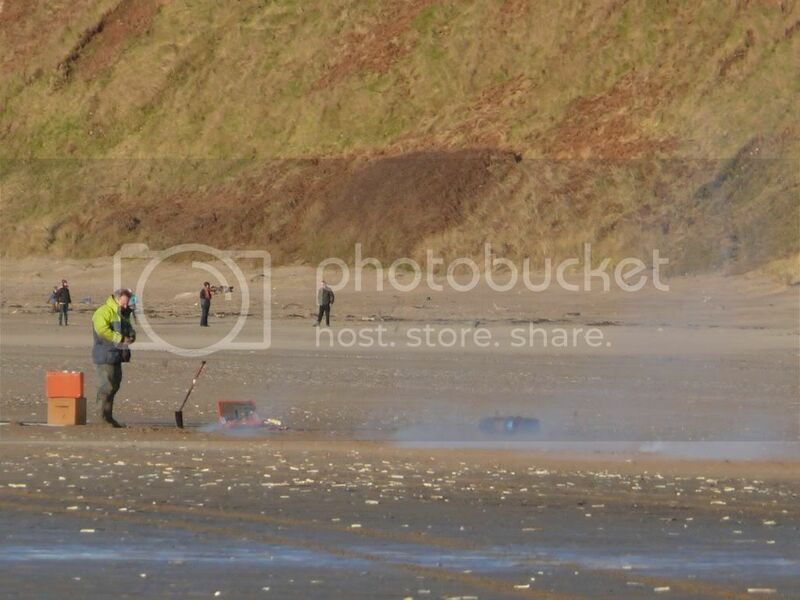 16:12 Just been stopped on my beach walk... Because they're setting dynamite off! 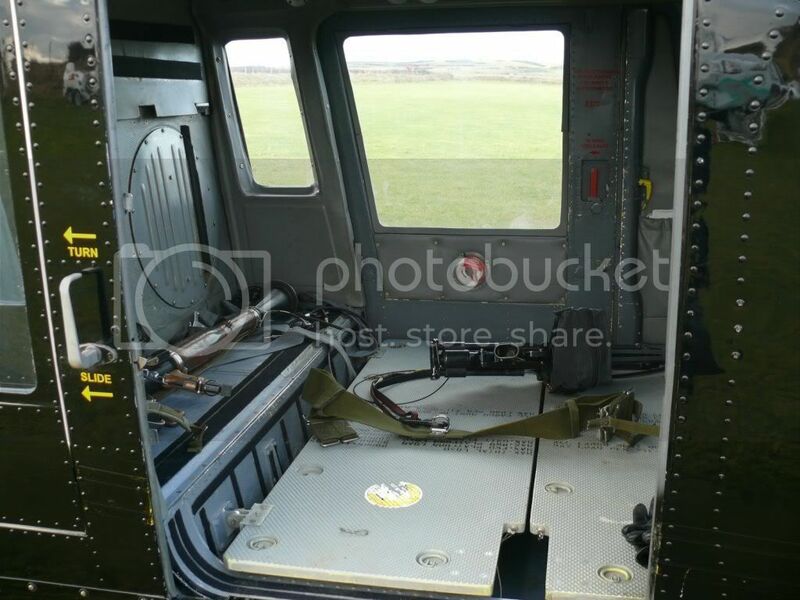 17:07 Lots of machine gun shots. 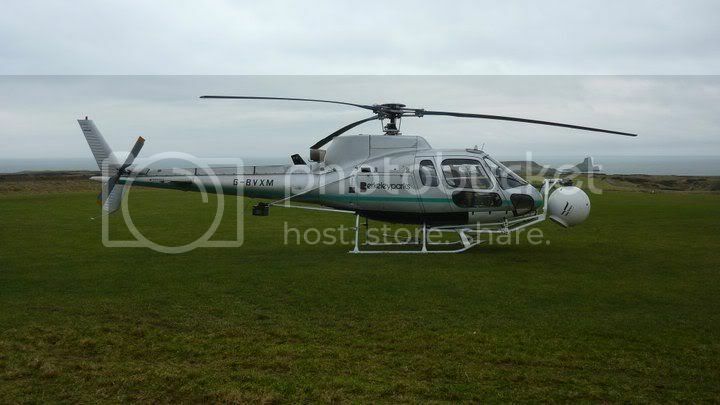 Helicopter is back. 18:42 The cast and crew have broken for tea. 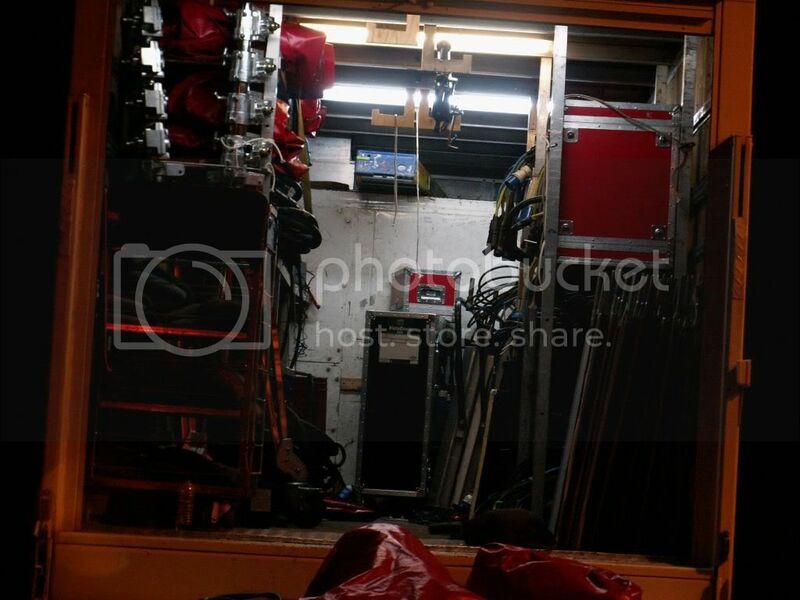 Looks like a night shoot. 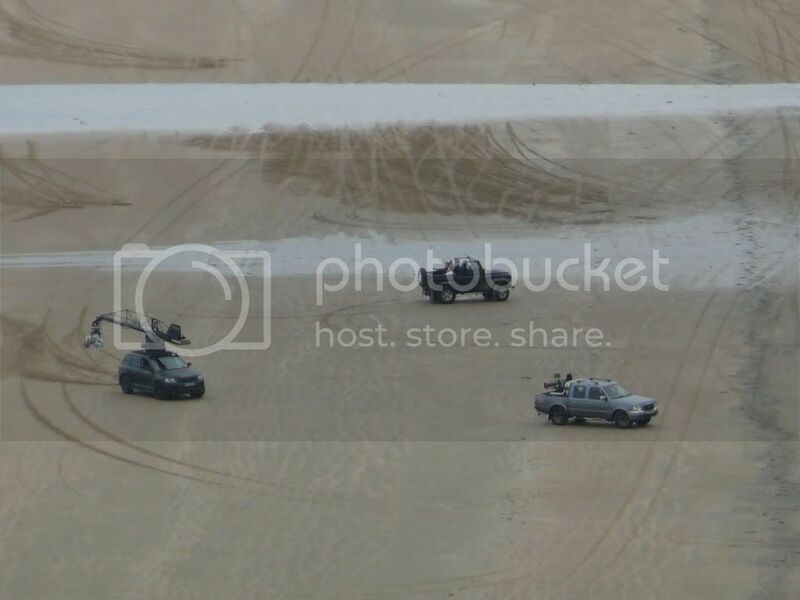 The last day on location at Rhossii Bay saw a move away from the house today onto the beach, where various scenes were shot involving vehicles ranging across the sand, and the establishment of a large tent structure by the cliffs. 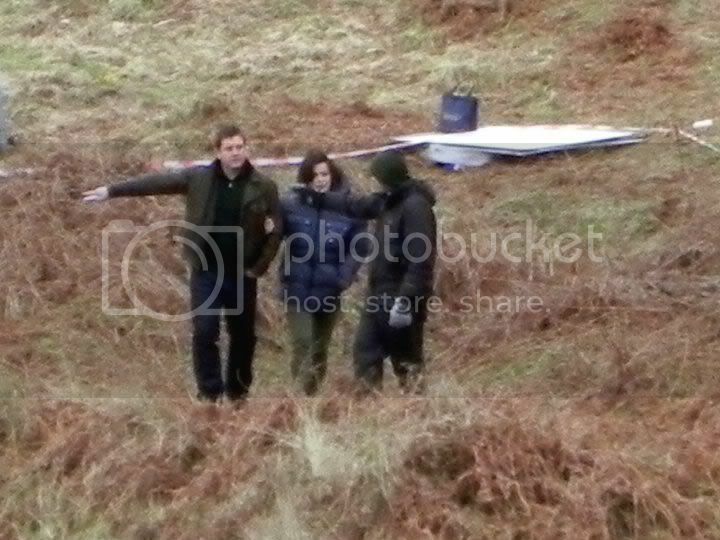 Eve Myles, Kai Owen and John Barrowman were all on location today, and the helicopters were pressed into service once again! After three days on the Gower Peninsula, it's back into town ... Swansea beckoned, with the crew descending upon the Bishop Gore School in Sketty. 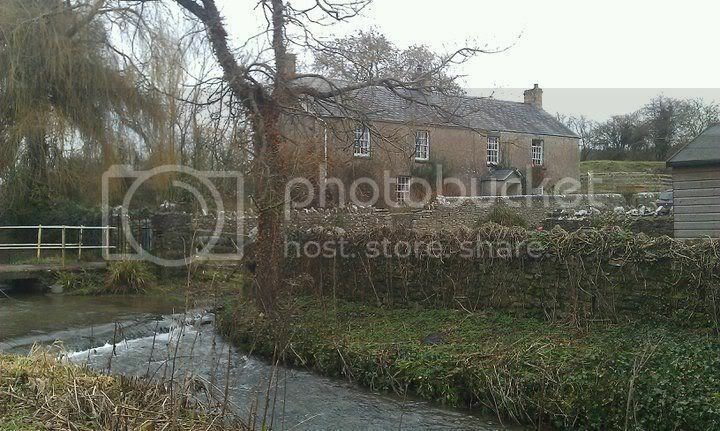 This caused quite some excitement with its occupants, with Nia enthusing: "WOW. 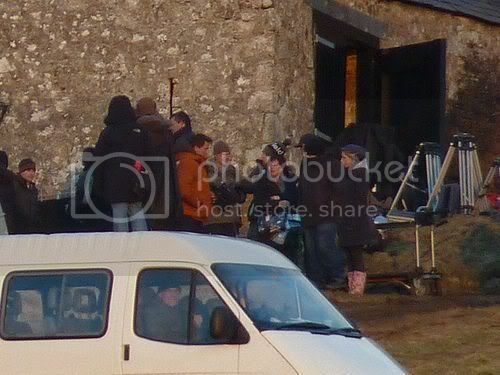 John Barrowman is filming 'Torchwood' in our school right now!". 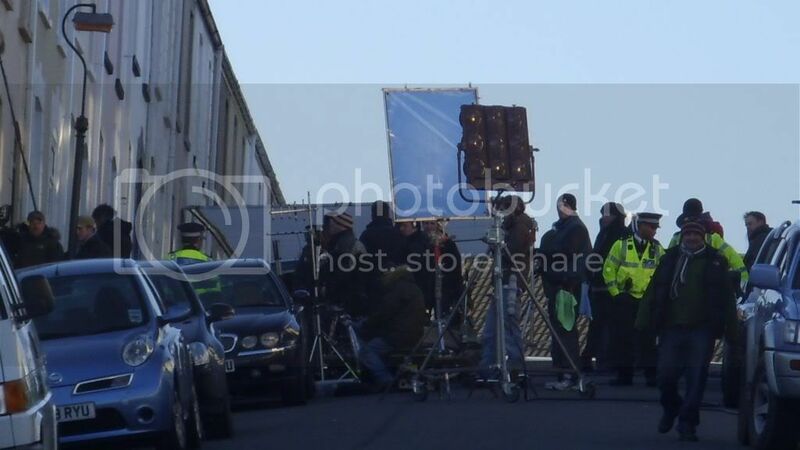 However, the school was actually serving as the base for production and photo-call, with filming to take place a few streets away at Cambridge Street - with residents there being informed of activity on their street back in December! 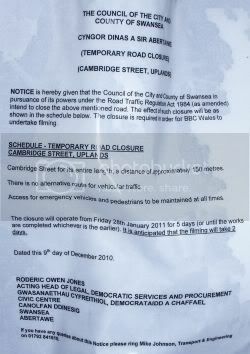 The public notice informed that two days filming were expected, though it could carry on for up to five days in total! 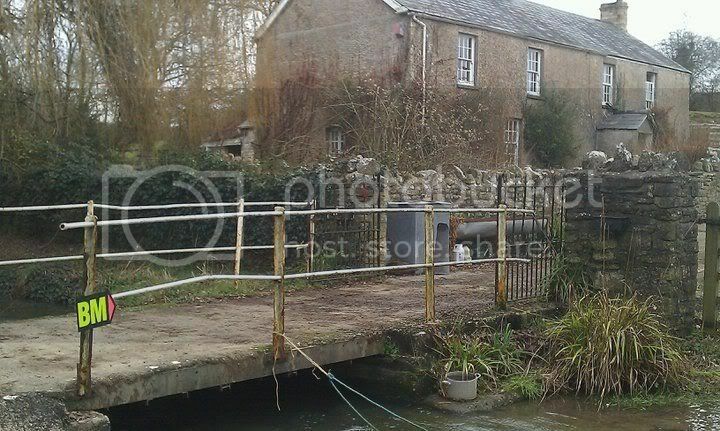 The shoot involved life at the Cooper household, involving Owen, Gwen and her parents Geraint and Mary (William Thomas and Sharon Morgan). 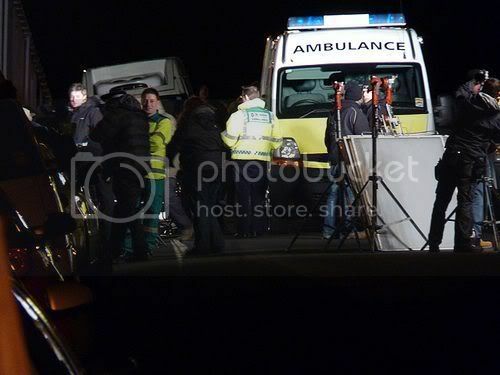 John Barrowman and Mekhi Phifer also had scenes, plus as the evening progressed Tom Price arrived to brave the cold evening, alongside a swathe of ambulances, police cars and SWAT. 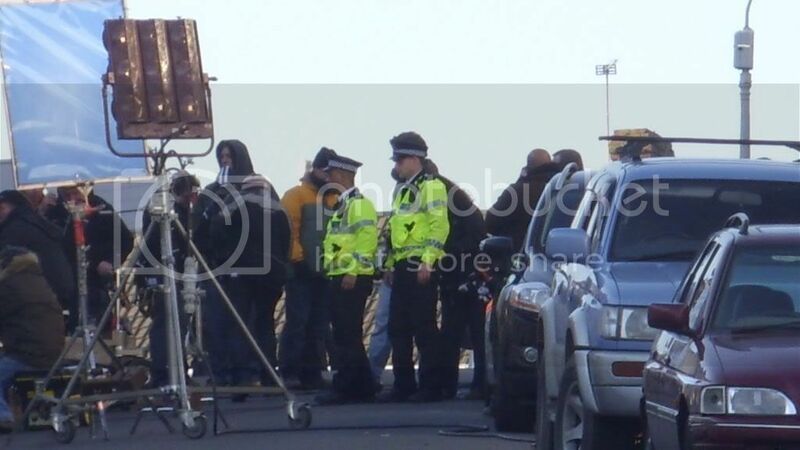 Russell T Davies was also spotted, watching his creation take fruit (scenes are believed to be for episode one, as Bharat Nalluri was overseeing the activity). The Base seemed smaller than usual - I'd not be surprised if we later hear of a second unit, working somewhere else in the area. 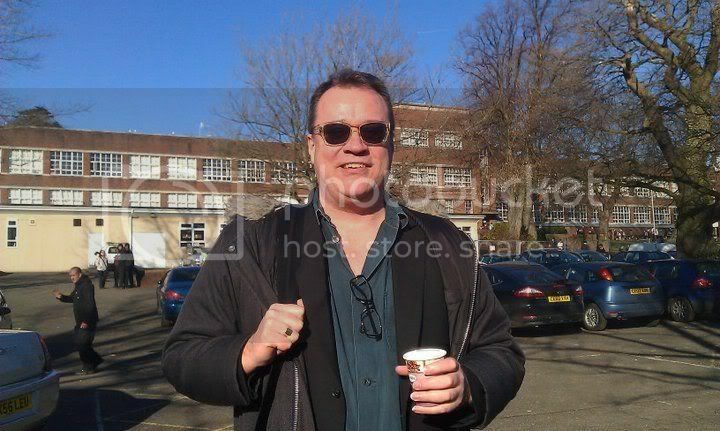 It was fantastic meeting up with the main man, Russell T. Davies at the Base. We've met a few times before, previously in & around Cardiff, and we always manage a chat. I'd not caught up with him since his move to LA, so this was a welcome re-acquaintance. I asked Russell how he was finding life in LA. He said that it was beautiful and he loved it, but it was clear he was more than pleased being back in Swansea, his beloved home town. When I asked if LA was a permanent home for him, he quickly replied that he was out there for 'a few years', but his firm intention was to return to Wales. The topic of Ianto Jones and the campaign to resurrect him briefly came up. It was pretty clear that Russell hadn't really picked up that there was a campaign, or that it had somehow not really registered on him. He was very excited about 'Miracle Day', and secretive too. The vague few details he did allude to, I'm not going to print. 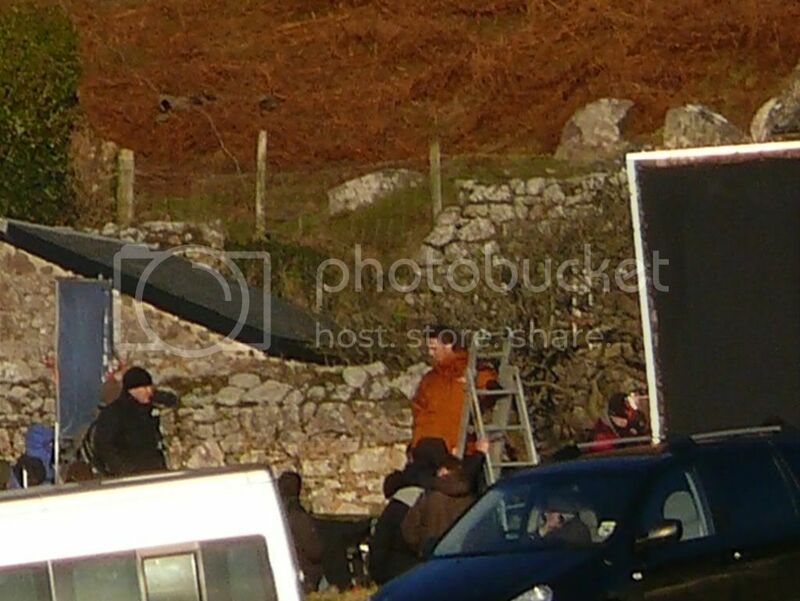 Russell confirmed that filming in Wales was scheduled for two weeks, but didn't seem to feel that this was fixed in stone. I'd not be surprised to see it extended. 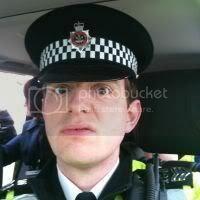 Did Russell expect to see future series of Torchwood? Yes he did, he certainly hoped so, and 'couldn't see why not'. 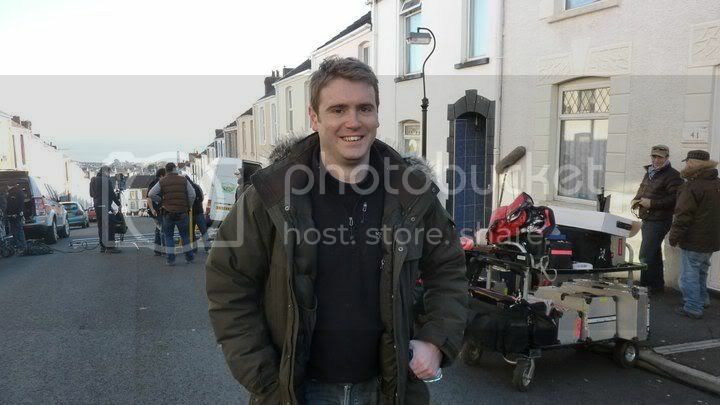 When I said that I was a little worried that Wales would possibly become less & less a part of any ongoing future Torchwood series - Russell said that he felt Wales would always feature in the show. He said that in a warm & sincere way. 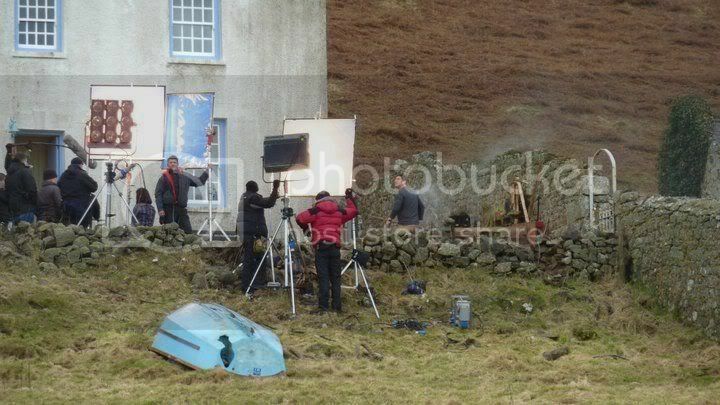 As for today's filming, Russell suggested it might not be that exciting... perhaps a couple of people rushing into, and out of a house. 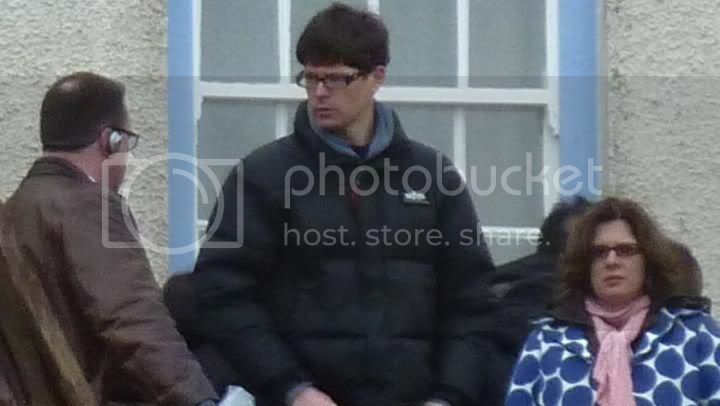 Russell then finished his coffee, posed for a couple of pix, and disappeared to record an episode of 'Confidential'. Whether he meant 'Confidential' - or 'De-Classified', I'm not sure. 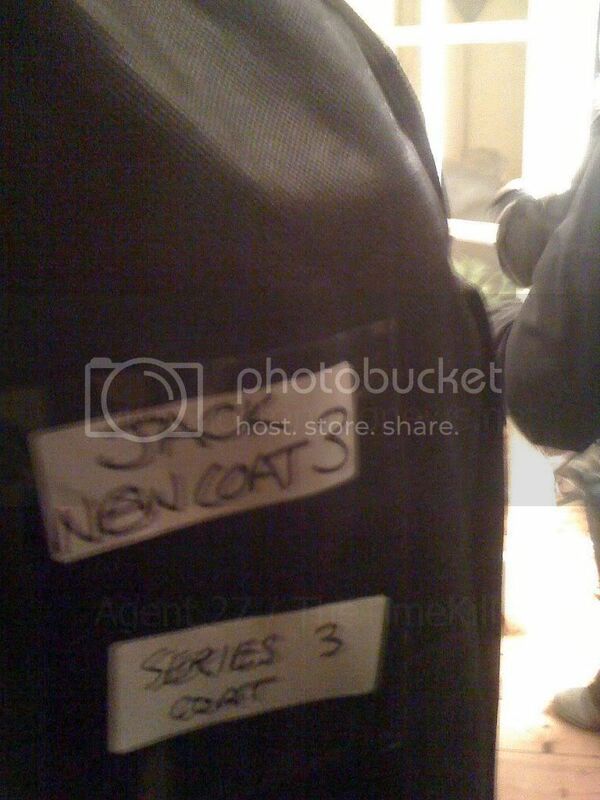 Off to the location. 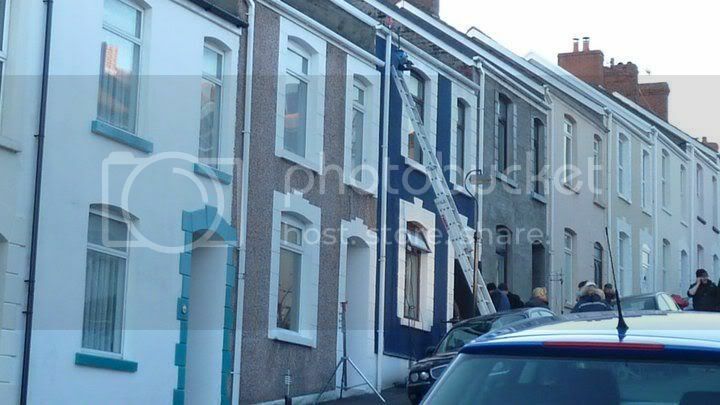 A lovely & very typical row of Swansea terraced houses in the Town Hill part of the town. This clearly was going to be a lengthy shoot. 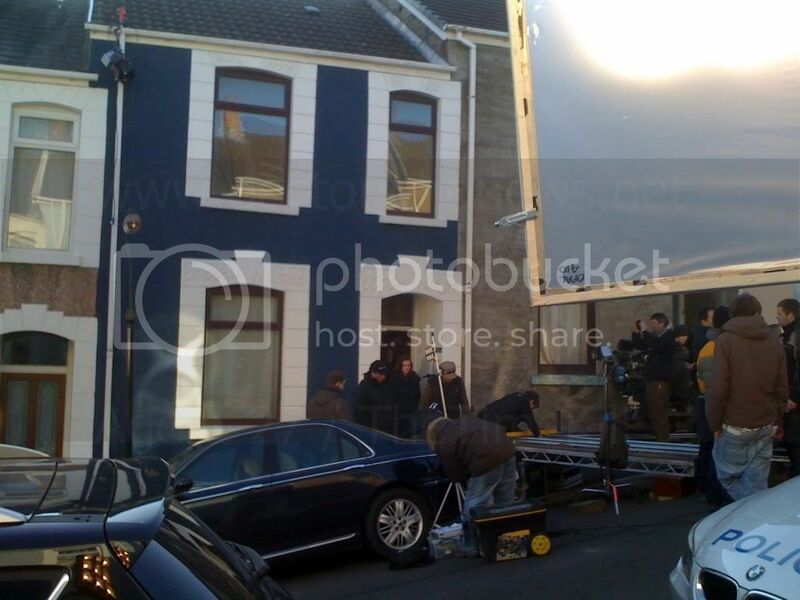 I'm told the shoot was at 'Geraint's house' - he's Gwen's dad, played by Will Thomas. Perhaps some 'family time' was about to occur! 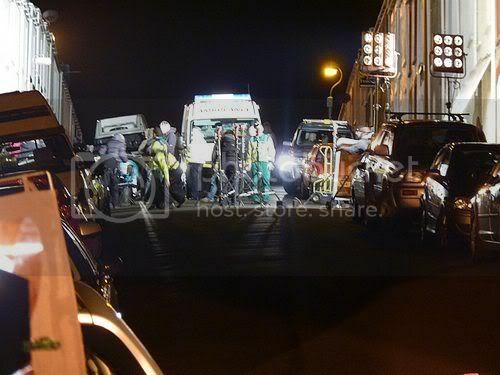 The road was closed to all traffic from 0800 thru midnight, and heavy duty lighting rigs were all over the place. I briefly chatted to producer, Brian Minchin, he of the 'BM' fame. He confirmed things were going well, and that the shoot was expected to take two weeks. Again, Brian hoped that Torchwood would continue beyond Miracle Day. A larger number of security staff perhaps reflected the urban environment, and for the first time ever - photography was 'strictly banned'. I was told, oddly, that the director (a long haired, bearded, hippy-like character who's name I couldn't pronounce) was 'jumpy' when it came to cameras! At this point, with powerful lights were trained on the target property, and runners were running, majorly, it was time to head home. 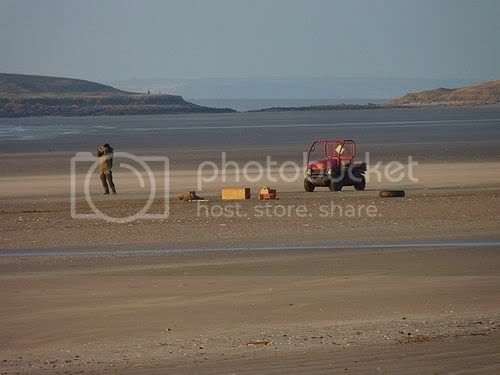 A quick spin around the area, a trip to Mumbles and one of Joe's famous ice-creams - the best Wales has to offer! 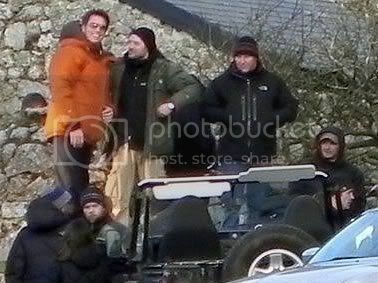 Eve Myles, John Barrowman and Tom Price were present, as was RTD. There was an ambulance, and a Police car. 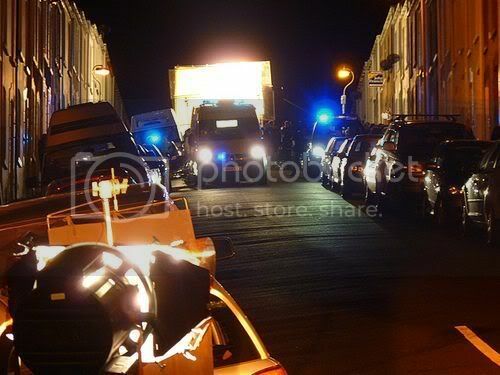 As well as Andy there was also a SWAT team of officers with large guns. Cambridge Road itself is only short, and you can see from one end to the other, so getting photos wasn't too hard. Also worth noting, the Police/ambulance had Welsh on them, so this is specfically Wales rather than the UK (sort of a given really). 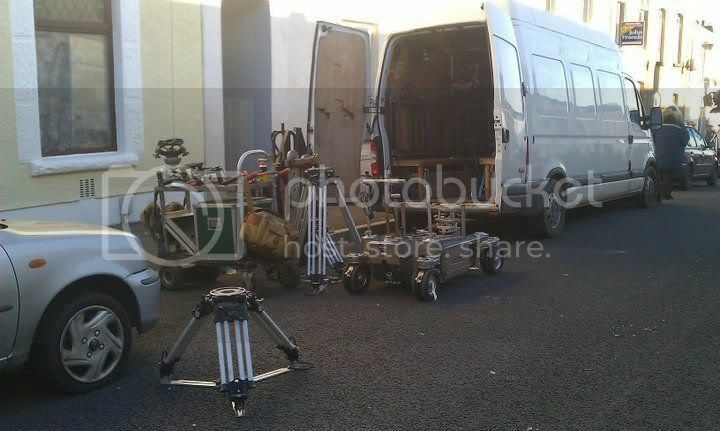 Filming is to continue tomorrow according to locals. at the school where Russell's mother used to teach. Quite nostalgic. 19:23 Mekhi's just finished his photo shoot dressed in a blood soaked shirt. All we can say is YES! 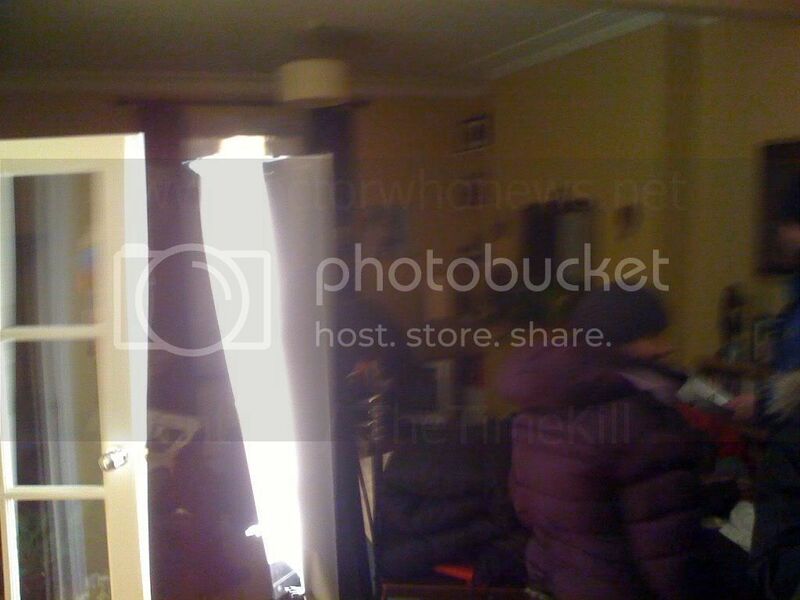 03:32 Temperatures are falling to -2 on tonight's shoot. The wet down of the location is cancelled in case of freezing. 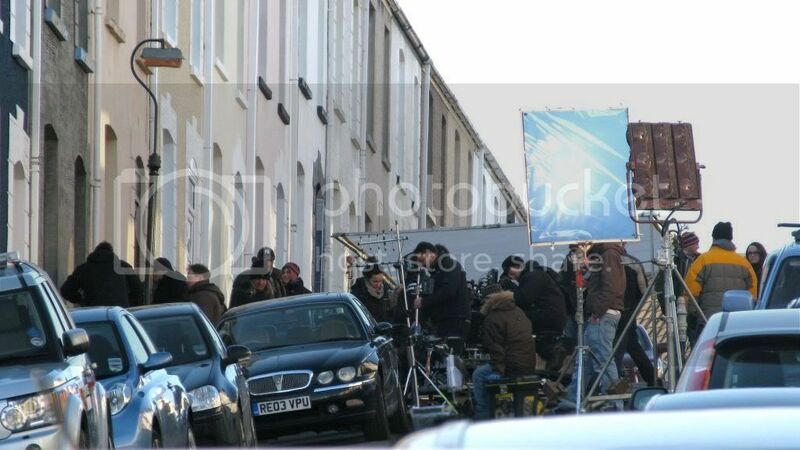 The second day of filming on Cambridge Street. 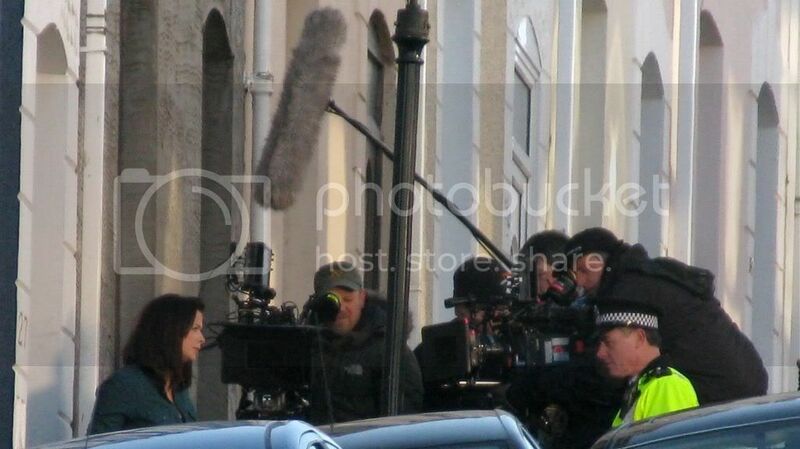 Eve Myles was again present, as were Danny Szam ("surveillance") and Ian Hughes (Ralph Finch). Activity during the day seemed to involve more various comings and goings at the Cooper household, both furtively and in a more official capacity. It was the first time I'd visited a Torchwood location since they filmed the "Newport riots" for Children of Earth in October 2008. Security was much tighter yesterday. 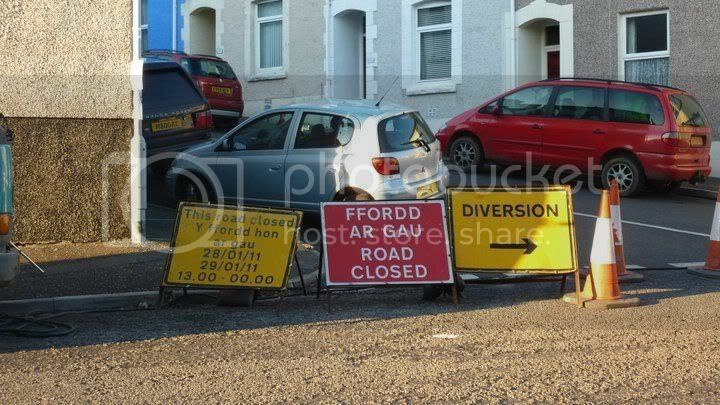 I doubt they'd've blocked the road off with barriers in the past. That said, the security guards didn't seem bothered by my taking a few pics. 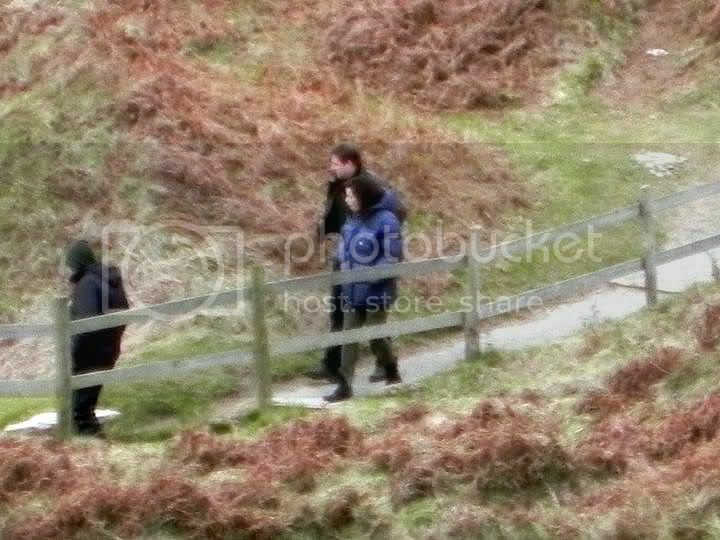 Perhaps that was because filming was too far away to get more than a few pixels even with my 24x zoom! 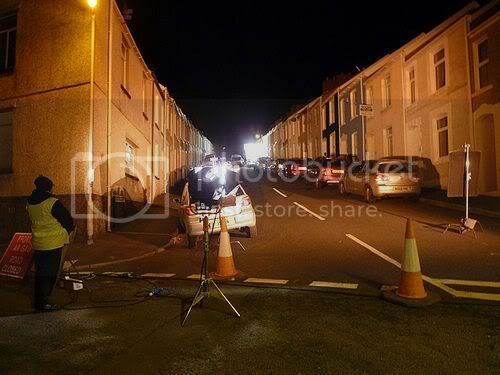 Still, it was worth the trip to see Torchwood back on a typical South Walian street. The highlight of that last day in 2008 was Eve Myles turning up in a pair of green wellies, so it was nice that yesterday's scene was also all about Eve. 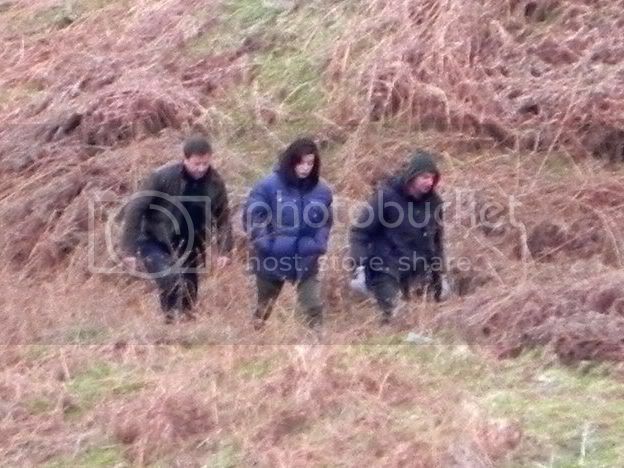 It was hard to tell what was going on, but it seemed to involve some official-looking chaps paying a visit to Gwen at Number 27. 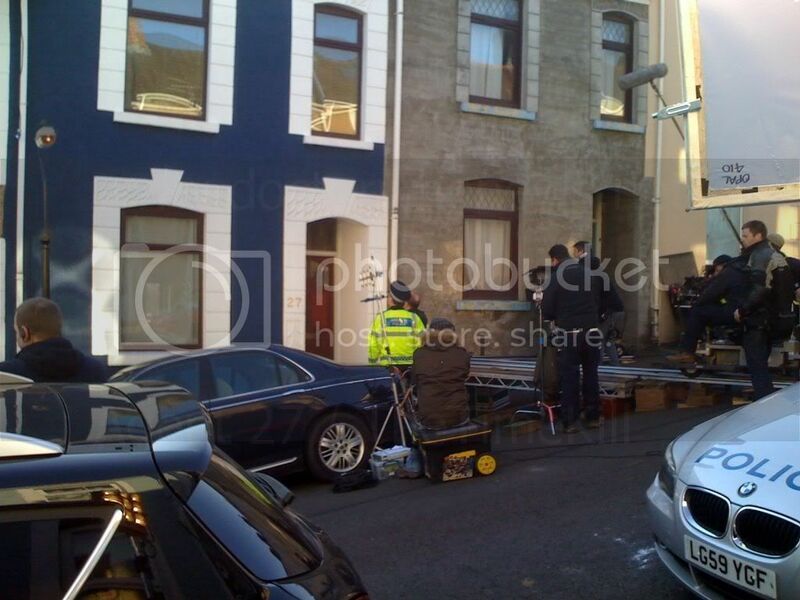 Finally, a view more shots courtesy of the locals of Cambridge Street who have lived with the cast and crew taking over their street for the last couple of days! 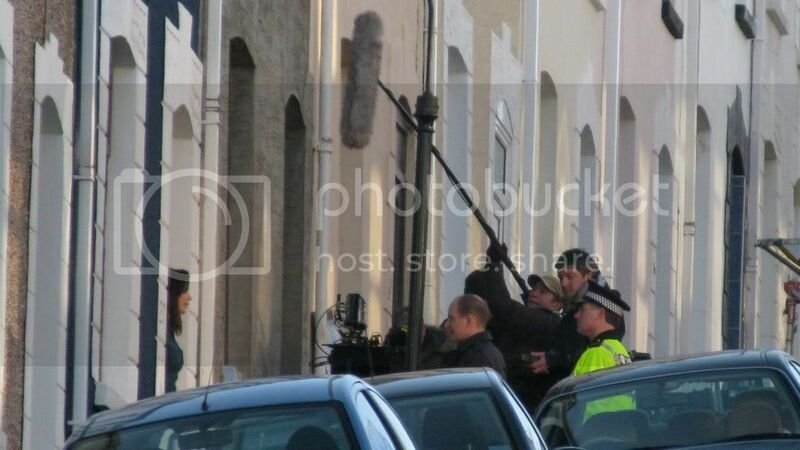 Filming is expected to continue in Sketty for another couple of days, with reports of activity at a recently closed butcher's shop. Around the corner. 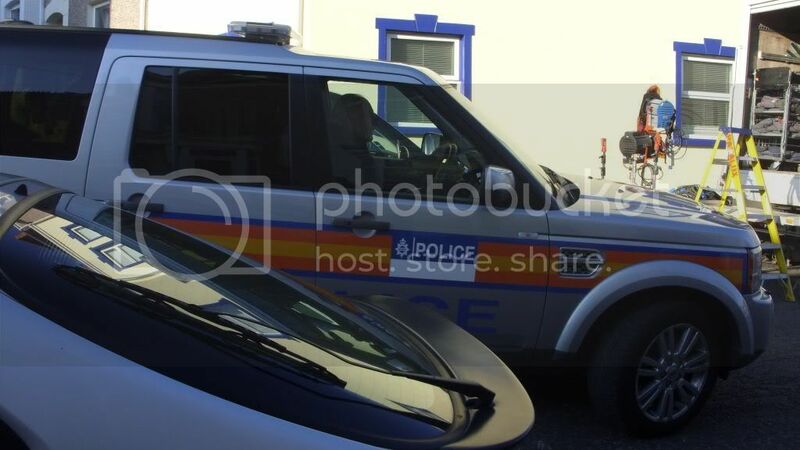 They are going to drive a car into the front of my butcher's shop. Luckily he stopped trading last month. I do hope they put it back nice. Beautiful curved corner of old-fashioned shop fronts. 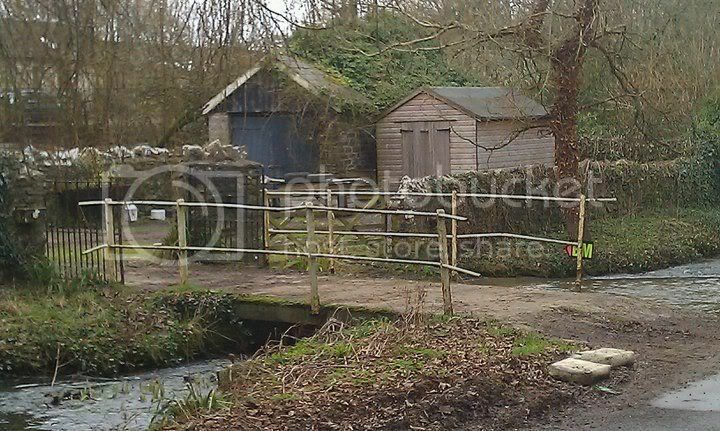 Another possible location is in the Magor area for Monday 31st January, though currently unconfirmed - as there are two episodes with two directors currently active it is possible that two units are operational in different parts of South Wales! 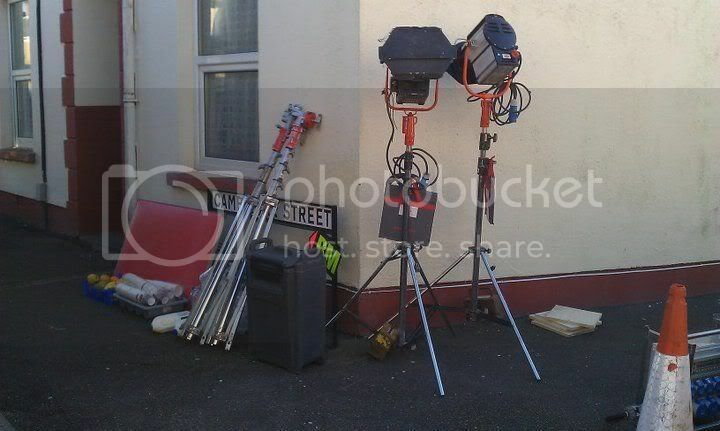 Tuesday 1st February sees the team filming at the Coal Exchange in Cardiff Bay - just a mere stone's throw away from the original home of Torchwood at Roald Dahl Plass!